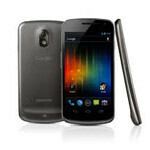 Have you been wishing you could get a Samsung Galaxy Nexus on AT&T or T-Mobile? Sure, you could import one, but that tends to add a premium to the already pricey full retail price. Well it looks like you may be in luck, as for one day only (just under 13 hours as of this writing) you have a much more cost-effective option: 1SaleADay has the unlocked GSM version at just $429.99. All you have to do is swap in your AT&T or T-Mobile SIM card and you're up and running. With the advent of the HTC One series, and the Samsung Galaxy S III on the horizon there are beefier hardware specs coming that will surpass what the Nexus can offer, but for those of you who want stock ICS this is still the best choice out there. We don’t know when (or if) the Galaxy Nexus will show up on any non-CDMA networks here in the ‘States, so if you’ve been pining away for Google’s latest and greatest on your network you probably shouldn’t pass this deal up. Hit up the source link for more! 20k for 5 years is going to be more than that with 6% interest .. that is neither bad credit nor a rolls Royce. I feel you... If I'm not married right now, I'd get it without thinking. Make the car payment you'll get more enjoyment out of it. People are losing their minds, $429 for a phone, is no wonder people are government are bankrupt? if the sgs3 wasn't so close to launch my bank account would have just lost some money. Any chance they sell devices not 100% ok? I remember reading something about the Gnexus (not all of them ) having some technical issue... And these kind of deals usually are final sales.